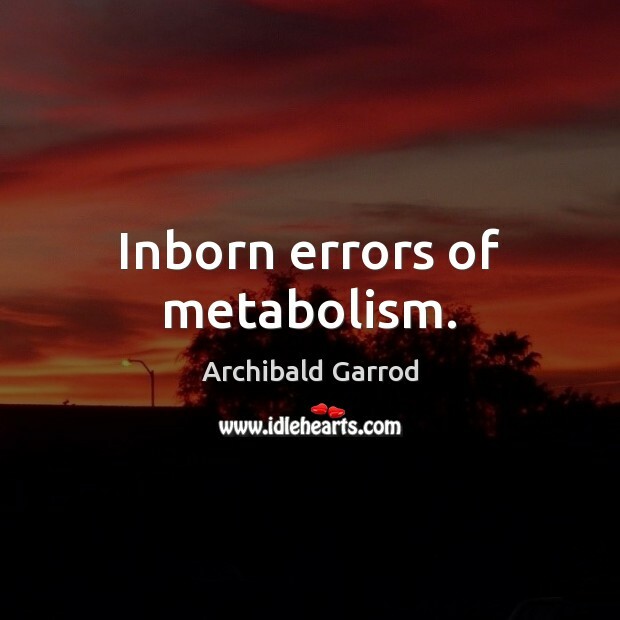 Enjoy the best inspirational, motivational, positive, funny and famous quotes by Archibald Garrod. Use words and picture quotations to push forward and inspire you keep going in life! 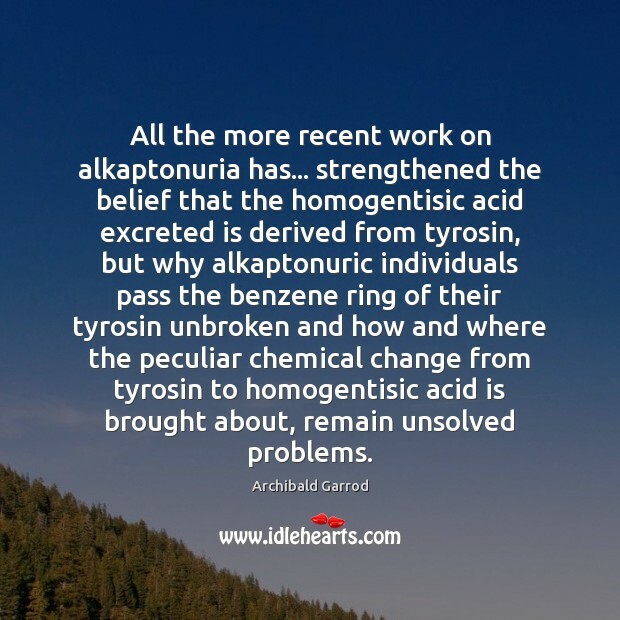 All the more recent work on alkaptonuria has... strengthened the belief that the homogentisic acid excreted is derived from tyrosin, but why alkaptonuric individuals pass the benzene ring of their tyrosin unbroken and how and where the peculiar chemical change from tyrosin to homogentisic acid is brought about, remain unsolved problems. 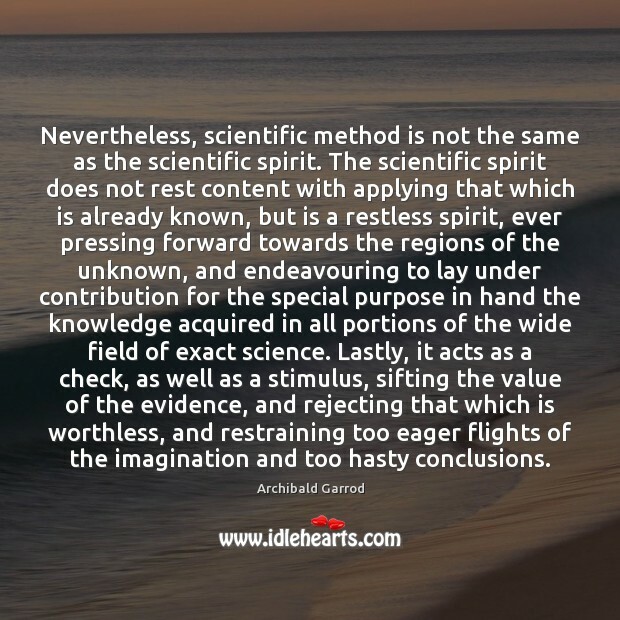 Nevertheless, scientific method is not the same as the scientific spirit. The scientific spirit does not rest content with applying that which is already known, but is a restless spirit, ever pressing forward towards the regions of the unknown, and endeavouring to lay under contribution for the special purpose in hand the knowledge acquired in all portions of the wide field of exact science. Lastly, it acts as a check, as well as a stimulus, sifting the value of the evidence, and rejecting that which is worthless, and restraining too eager flights of the imagination and too hasty conclusions. 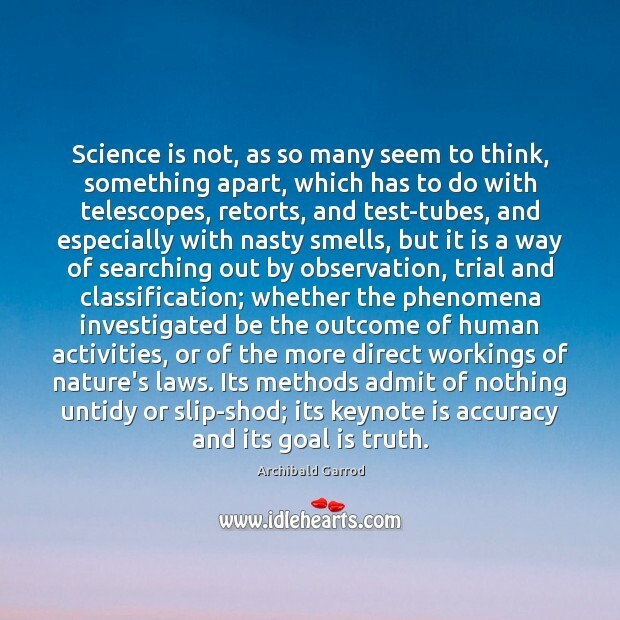 Science is not, as so many seem to think, something apart, which has to do with telescopes, retorts, and test-tubes, and especially with nasty smells, but it is a way of searching out by observation, trial and classification; whether the phenomena investigated be the outcome of human activities, or of the more direct workings of nature's laws. Its methods admit of nothing untidy or slip-shod; its keynote is accuracy and its goal is truth.